The Village Green Motel has been a proud locally owned and operated ocean motel since 1991. 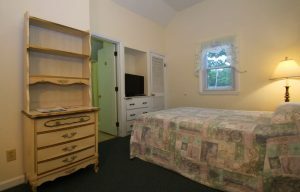 We serve South Yarmouth year-round with cozy, clean rooms and unprecedented guest services. We have ocean view rooms available and our location offers easy access to nearby dining, shopping and recreational sites. If you’re planning a weekend getaway or a vacation on Cape Cod, there’s no hotel more comfortable and cozy than the Village Green Motel. Since 1991, we have been the premier locally owned and operated hotel on Cape Cod, offering clean rooms right across from the beach for reasonable rates. We also provide a variety of amenities, including continental breakfast, a heated outdoor pool and much more, to ensure our guests have an enjoyable stay. We’re centrally located, which means guests have easy access to numerous recreational opportunities nearby, as well as fine dining and retail. A stay at the Village Green Motel offers a wonderful balance of access to activities and plenty of time and space for relaxation. We have been a locally owned and operated ocean hotel on Cape Cod since 1991. Our rooms are clean and comfortable. We have numerous onsite amenities, including grilling and picnic space, a heated pool and more. We offer easy access to other attractions on Cape Cod, as well as in neighboring communities. Our rates are very competitive year-round. We are conveniently located in Cape Cod, and can service residents and vacationers in the surrounding areas, including South Yarmouth, Dennis Port, West Yarmouth, Hyannis, Yarmouth and Barnstable.